The companion to Pure Ice Golden Ticket is this black crackle. As far as black crackles go, this one was pretty neat. It was still relatively thin and well, as for the crackling... let me show you. This is one coat of crackle over my existing manicure. This crackle does dry matte, so I added Seche Vite to make it shine. See how lovely it cracks? This is how a lot of European crackles seem to work (versus OPI here in the States). I'm happy! Here in the shade , you can see that the glitter shows up super nicely under the crackle. And finally indoors with the flash - well... not much else to say here. Crackle - good deal. You can purchase this duo for $6 straight from Bari Cosmetics here. 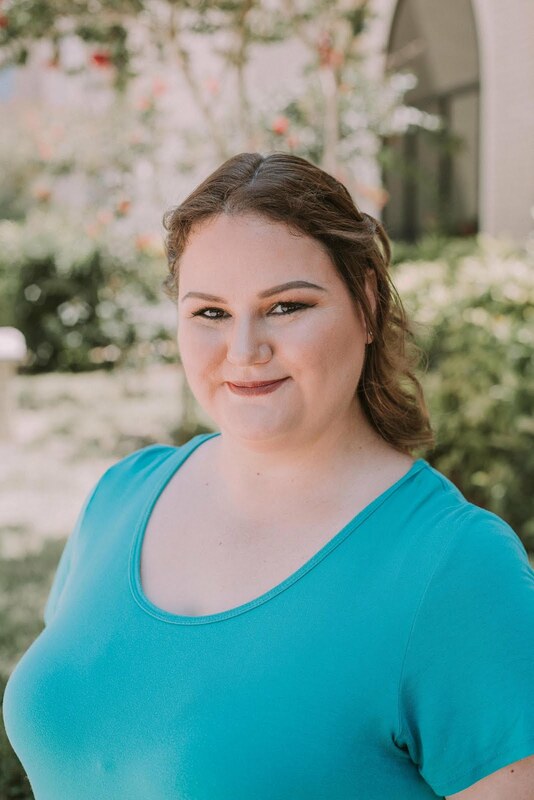 Read more about Bari's Cosmetics including Pure Ice on their Facebook Page and follow them on Twitter. They sell this brand at Walgreen's drug stores, too. I have a bottle of bright orange crackle that's pretty cool. Yep! I can also get it at Wal-Mart! I like this inexpensive brand! This is one of the crakle/spatters that does look a bit better than many. Still I am so not a fan of this look. Never was - esp the first ones that OPI did which went on like rubber and looked (and felt) very thick. I think I'm going to go pick this one up. 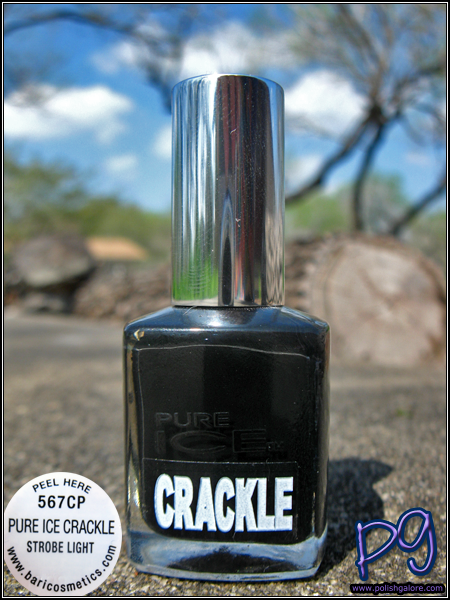 I don't own a black crackle, why I'm not sure. 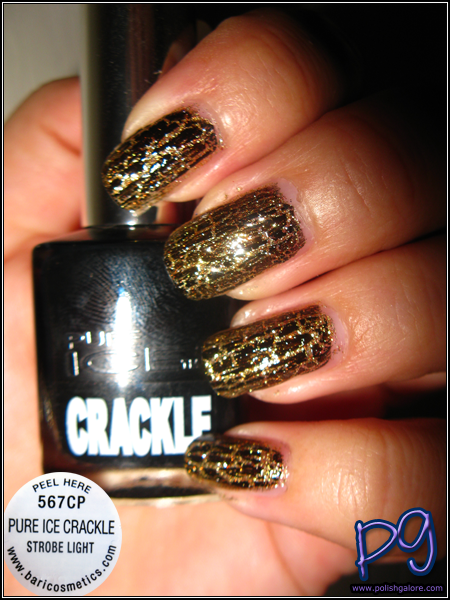 I've only tried the Sally Hansen Crackle's which have kind of disappointed me. I've got a red, blue and silver and the red and blue don't show up over dark colors and it's too thin. And the silver is pretty but it's kind of thin and it doesn't crack very much. This one cracks A LOT but it's better than not enough.